Descrivere l'essenza e le caratteristiche di un locale che si trova ormai da anni, più di 50 anni, nel panorama della cucina pisana, non è per nulla semplice. Non è una parola facile capire l'atmosfera che si respira all'interno dell'Antica Trattoria il Campano è lo stesso. Quindi non avete altra scelta da assaporarla in prima persona venendoci a trovare. It is said that at the beginning of the twentieth century at the base of the homonymous bell tower "Il Campano" there was a grocery store, later evolved in the post-war period in gastronomy and shortly after in the "Antica Trattoria Il Campano" until today. Trattoria since then very popular for the genuineness and abundance of traditional dishes, both from Pisa and from university professors and students. 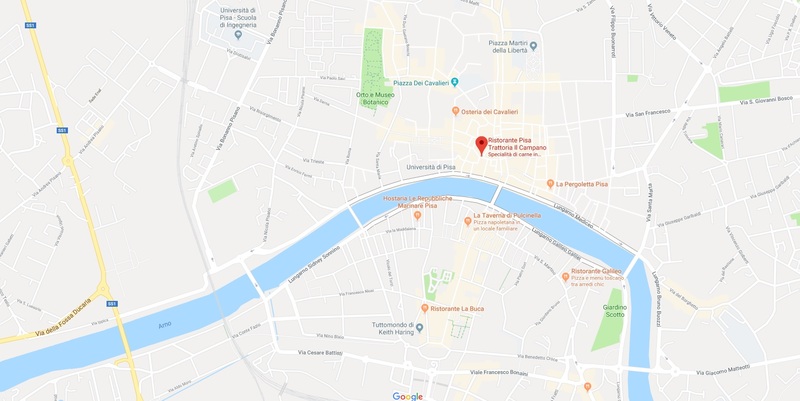 I remind those who do not know that the University of Pisa is one of the oldest in Italy and Europe, and together with the other two university institutions, the Scuola Normale Superiore and the Scuola Superiore Sant'Anna are pride and pride for the city of Pisa. 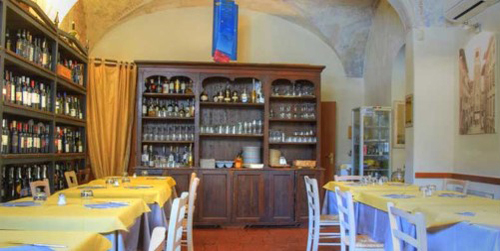 Time has passed and for 15 years the Antica Trattoria Il Campano has always moved to Via Cavalca at number 19, in a splendid tower house from the 1300s that belonged to the Ghibelline family. 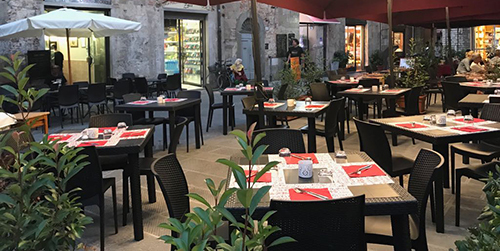 The restaurant overlooks one of the most authentic corners of the city, home to the city market, where you can find taverns, delicatessens, bakeries, fruit and vegetable stalls, and fresh fruit and vegetables.